Merchandise Monday: The New Year is Looking Radiant! Pantone®’s color people announced last week that the official color for 2014 is Radiant Orchid. Not just any old orchid – radiant! Hailing from the purple family, radiant orchid is a bright pinky-purple that really pops. A Google Image search brings up everything from runway fashions to cosmetics to gemstones to photos of the flower itself. In celebration of the New Year’s new color, here are a few appearances of radiant orchid among Hinda’s ever-growing merchandise assortment. Stay tuned for even more great new products of every color as we move into 2014! The Trends line is sure to bring excitement and fashion appeal. This line is great for home cooks who want to express themselves and demand cookware with flare. Aluminum construction provides quick and even heating and non-stick interiors make for easy clean-up. 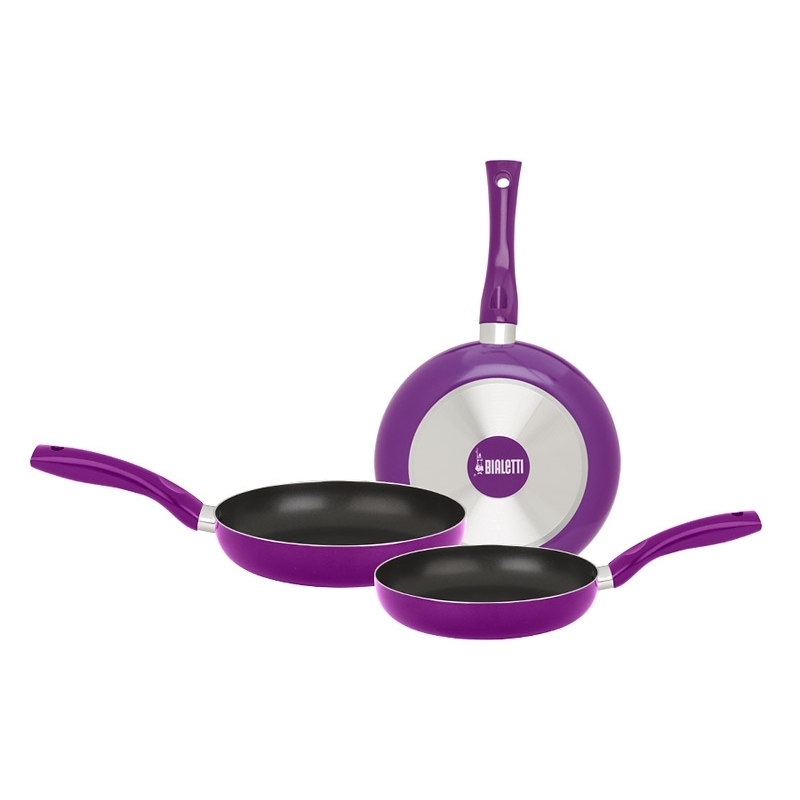 These pans feature silicone lacquer exteriors and Bakelite handles. Express your style while you cook up your favorites! 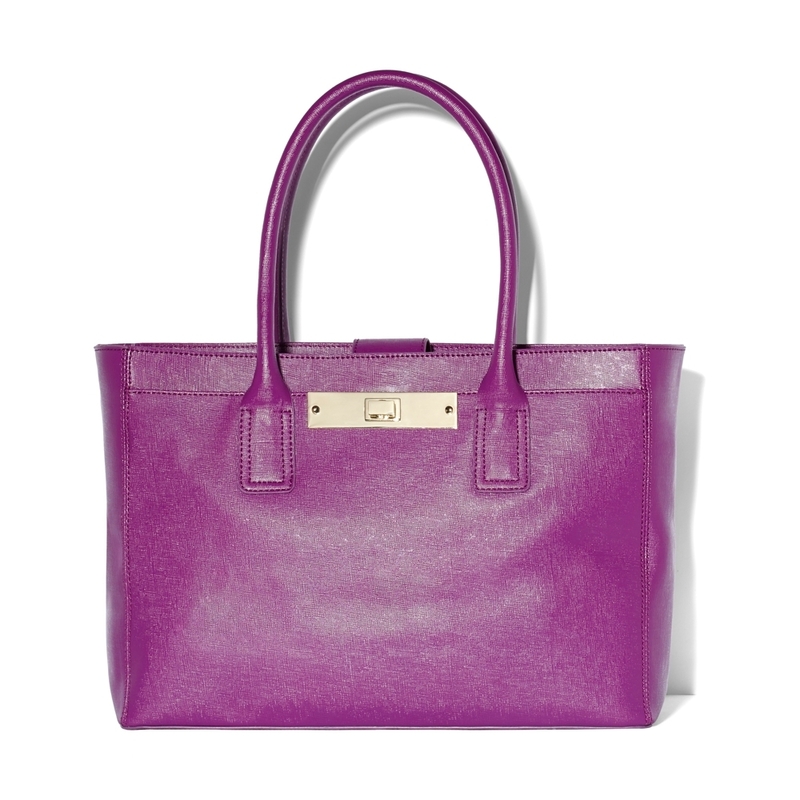 Sturdy, versatile and stylish, the Alex Tote from Vince Camuto covers all categories! The Alex is constructed from 100 percent leather in a most timeless silhouette and topped it with contemporary hardware that works for any occasion. Features include a front slip pocket with metal turn lock closure, a back slip pocket with magnetic snap closure and a magnetic snap. Truly a statement bag! David Yurman’s iconic cable bracelet – a twisted helix adorned with gemstones on its finial ends – inspires the vibrant Color Classics collection. This bracelet features sterling silver and 14k yellow gold with an amethyst gemstone on either end. The 5mm cable bracelet fits a medium wrist. This classic style is perfect for everyday wear and transitions well into your after-hours wardrobe.